Torco Engine Assembly Lube is favoured by professional mechanics for assembling pistons, camshafts and valvetrain components. Engine Assembly Lube is a high viscosity oil soluble lubricant which contains a concentrate of anti-wear and anti-friction chemistries featuring the highest degree of protection. 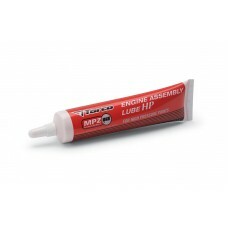 This lube is supplied with Edelbrock camshaft kits.